Coupar was invited for a tour of the restored Hibernia Bank Building. 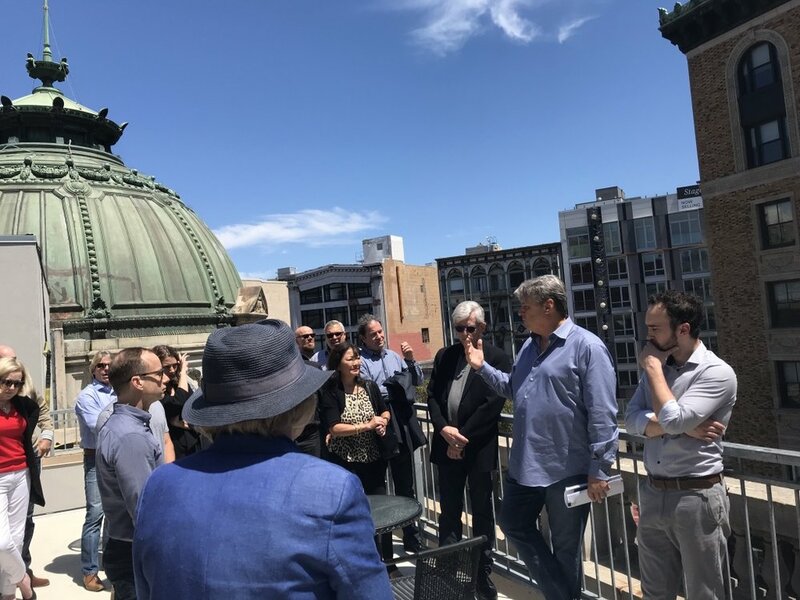 The event hosted by ICAA of Northern California featured a tour led by Ed Westbrook of QuarryHouse. QuarryHouse, a Coupar client, was instrumental in the historic renovation of the building's rooftop balustrade, parapet fascia, and coping. The magnificent banking hall includes an entry rotunda, two stained-glass skylights, 30-foot ceilings, gilded details, marble floors and wainscoting. Offices incorporate mahogany and walnut paneling with ornate decorative plasterwork. French-Mexican architect Albert Pissis designed the Beaux Arts style treasure in 1892. The bank first opened in 1859 and was named for the Irish miners (Hibernia is Latin for Ireland) who deposited gold there. Sitting on the corner of McAllister and Market Streets, it survived the 1906 earthquake. The edifice with its columned sides, carved granite walls, and copper dome gained San Francisco Landmark status. Despite this, the temple like structure nearly succumbed to urban blight. Fortunately, after the abandoned and decaying building was purchased in 2008 by Dolman Property Group an extensive restoration program was designed and completed in 2016. 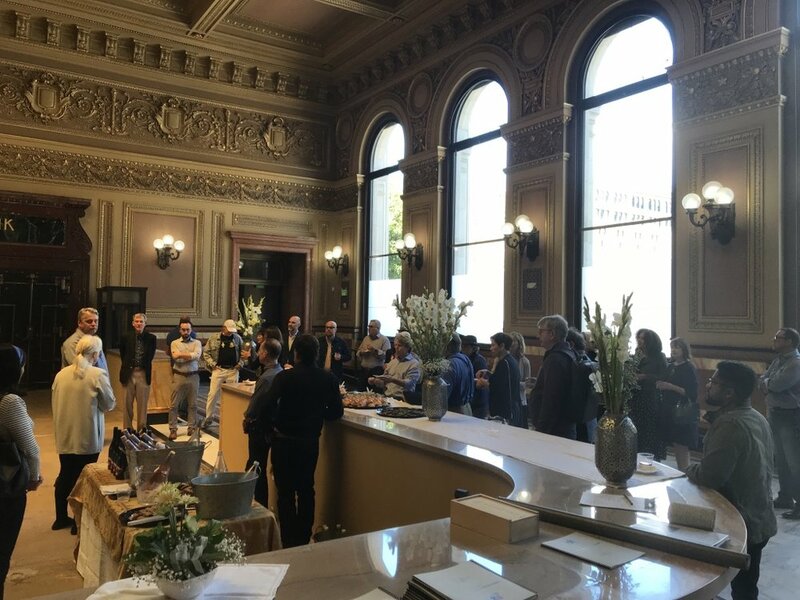 Quarry House worked in conjunction with Landmark Construction, WJE Associates, and Elevation Architects to both seismically retrofit and historically preserve this piece of San Francisco's heritage. For their work on the project, Quarry House received the 2018 Julia Morgan Award for Historic Restoration.